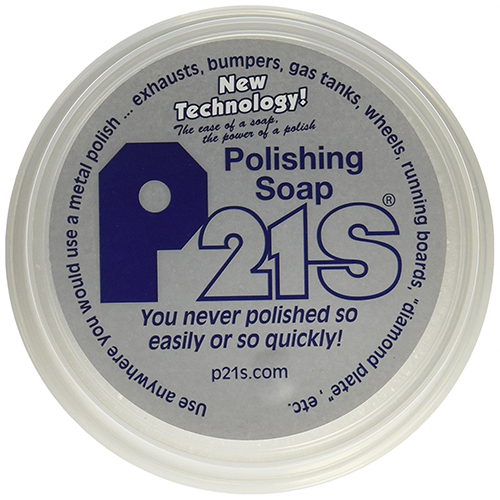 P21S announces the end of tedious polishing. The wheel you see here was purchased from a scrap dealer. 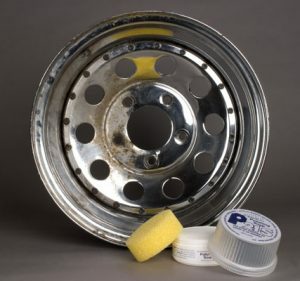 We polished half of this wheel in less than a minute…by hand! The secret is this unique soap-like cake that’s water-based. Just take the enclosed sponge, wet it, and drag it across the soap. Squeeze to create lather and gently scrub. 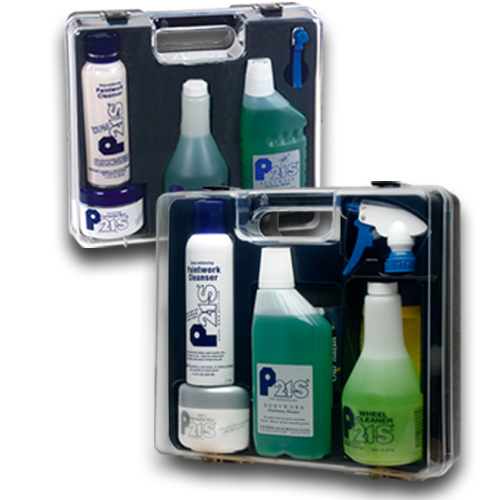 In seconds a brilliant shine appears. Now rinse with water and you’re done. No struggling with a greasy paste with 2 fingers, no black grime under the fingernails, and no oily rags to deal with afterward. And you’re polishing at ten times the speed with a fraction of the effort! 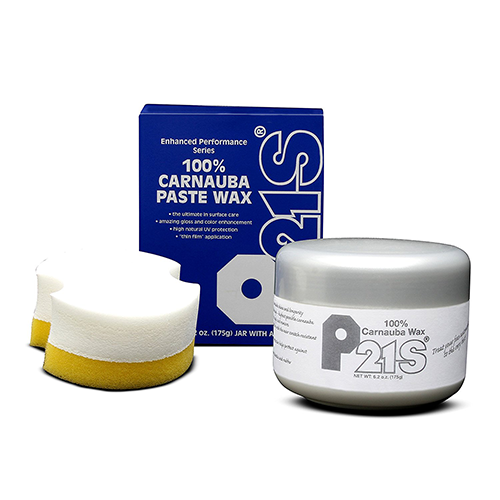 Great on exhaust pipes, bumpers, gas tanks, running boards, diamond plate, or anywhere else you would use metal polish. Dozens of uses around the home such as stainless, aluminum and copper pans, glass cook tops, etc. 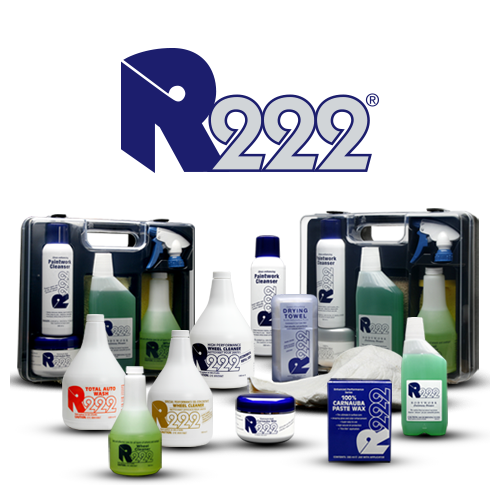 Biodegradable and non-toxic, too!